A limited edition Žufánek Pear Brandy which has been left to mature in oak casks in conjunction with dried Williams pears. The third and for a longer period the last product in our series of archival Žufánek spirits aged in oak barrels. Following after slivovitz and grape brandy from the cool quiet of our basement now comes pear brandy. 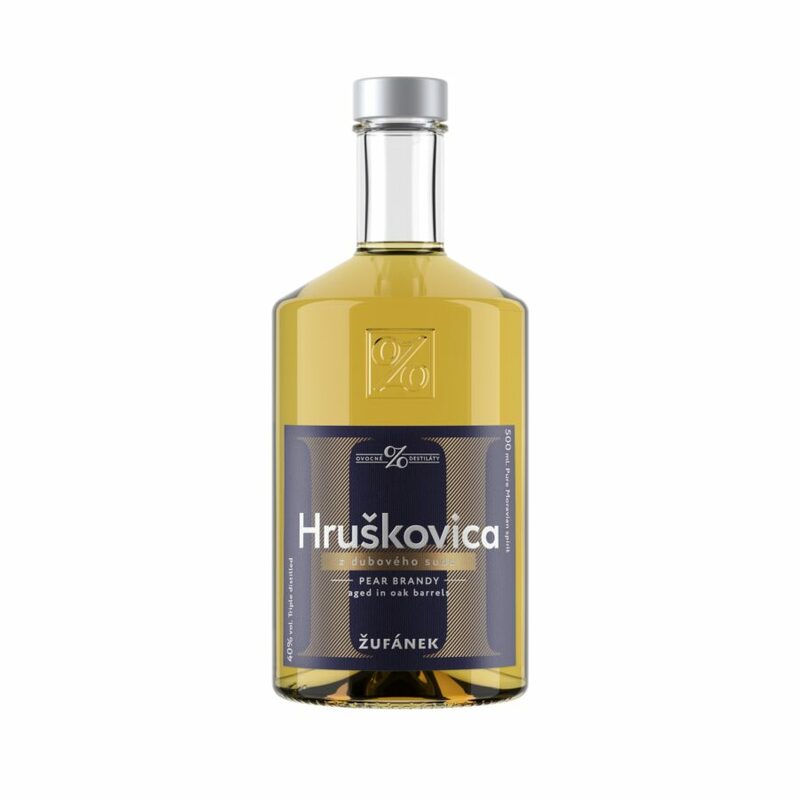 This is the very same Žufánek Pear Brandy from 2011 which can be found currently being marketed, except that this has until now been maturing in barrels made from French white oak in the company of dried pears. This produces the final color, delicate sweetness and amazing aroma of the final product. To produce one liter of pear brandy requires nearly 13 kilograms of pears and in the subsequent maceration another x kilograms of dried pears are added.